This year, the 5th edition of the IGNITE conference, will focus on improving access to higher education, developing entrepreneurship and promoting sustainable leadership amongst young people in conflict-affected regions. Hear from refugees, entrepreneurs, education experts, private sector, government and NGO representatives from across Africa, the Middle East and Europe. Share knowledge on how to rebuild economies and societies. Prof. Stefan Dercon is Professor of Economic Policy at the Blavatnik School of Government and the Economics Department, a Fellow of Jesus College, and Director of the Oxford Centre for the Study of African Economics. Since 2011 he has been Chief Economist of the Department of International Development (DFID), the UK’s government department in charge of aid policy and spending. Scarlet is the Senior Director of Private Sector Partnerships at the Tent Foundation, launched by Hamdi Ulukaya, the CEO of Chobani yogurt, to mobilise the private sector to respond to the global refugee crisis. She oversees the Tent Partnership for Refugees, a coalition of 80+ companies that have made commitments to support refugees. Prior to Tent, Scarlet worked at the Clinton Foundation for nearly eight years. Kilian Kleinschmidt is a humanitarian and refugee expert with over 25 years of experience in a wide range of countries, emergencies and refugee camps as United Nations official, Aid worker and Diplomat. He is the founder and CEO of Innovation and Planning Agency (IPA), which connects marginalised parts of the globe with technological resources needed to catalyse change. Kilian managed the Za’atari refugee camp in Jordan from 2013-14 on behalf of UNHCR. Dr. Abdigani Diriye is a research scientist and a manager for the financial services research group at IBM Research Africa and the co-founder of Innovate Ventures, the leading startup accelerator and technology fund in Somalia. In 2017, Dr. Diriye became a TED Fellow, Next Einstein Forum Fellow and has been listed as one of 35 innovators under 35 by MIT Technology Review. Linda Kromjong is the Secretary-General of the International Organisation of Employers (IOE) in Geneva. The IOE is the largest network of the private sector in the world, with more than 150 business and employer organisation members. The IOE is also the founding father of the GFMD Business Mechanism. Kromjong serves on the Advisory Boards of the UN Global Compact, Mega Sporting Events (MSE) platform for Business & Human Rights and UNHCR Livelihood. Ahmad Bayram is Middle East and Africa Regional Manager at Techstars, a global ecosystem that empowers entrepreneurs to bring new technologies to market. Ahmad is also Jusoor’s Entrepreneurship Program Advisor, Training Bootcamp Manager and Techfugees Adviser, and Entrepreneur in Residence at Aliqtisadi.com. His website is also one of the most prominent blogs in the Arab world that tackles the power of the sharing and collaborative economy. Buke Cuhadar serves as Vice President of the Global Entrepreneurship Network (GEN), a platform of programmes and initiatives created by the communities that celebrate Global Entrepreneurship Week each November. Aimed at creating one global entrepreneurial ecosystem, GEN helps people in 160+ countries unleash their ideas and turn them into promising new ventures. Dr. Fadlo Khuri is the 16th president of the American University of Beirut. Khuri has published over 300 peer reviewed articles, and his work has been cited over 16,000 times. He has been recognised with several major awards, including the 2006 Nagi Sahyoun Award, the 2013 American Association for Cancer Research Richard and Hinda Rosenthal Memorial Award. Khuri serves as Editor-in-Chief of the journal Cancer. Ahmed Ben Mussa is a leader in entrepreneurship ecosystem development in Libya. He currently leads the Tatweer Entrepreneurship Campus programme, which aims to build the entrepreneurial ecosystem in the country in such devastating times. He has published several articles promoting the necessity to cease the opportunities that political instabilities and the technological advancements provide for the people of Libya. Ahmed is also a lecturer of entrepreneurship in several institutions. Abdirizaq Abdullahi is a Somali entrepreneur who grew up in the Netherlands. In 2012 he visited Somaliland and fell in love with it. He opened a tourism business to enable the world visit the beauty of the ‘visiting-is-not-advised’ area. Four years later, at IGNITE2017, he will tell us about his journey to success: from his first trip to Somalia, to partnering with international organisations and creating a gender balanced workplace. Farooq Burney is the Executive Director of Al Fakhoora, a programme of Education Above All in Doha, Qatar, which works with partners to offer access to higher education for marginalised youth by providing scholarship and empowerment programmes. EAA are also involved in the reconstruction and rehabilitation of the education sector in Gaza. Mr. Burney has over 15 years of experience in the NGO sector. Emmanuelle Ntakiributimana is the Managing Director of a fruit processing company in Burundi. Focused on economic development, in his capacity as President of IPFB, he connects different players of the fruit sector, working towards cohesive economies. The federation provides capacity building, coaching and facilitation of loans for aspiring entrepreneurs. Emma Ursich is Director of The Human Safety Net at Generali, a global insurance company based in Italy. Together with SPARK, Emma is launching an ambitious programme for empowering refugees to set up successful enterprises, starting in Germany and France. Emma has spent 15 years in corporate communications and identity. Throughout her work, Emma followed her belief that a company’s image depends on its actions. Besan Abu-Joudeh is co-founder and CEO of BuildPalestine, a crowdfunding platform for social impact projects. Born in the US, Besan always felt a connection to her homeland. When she moved to Palestine, she saw local organisations struggling to get projects off the ground and that’s when the idea for her business struck. Dr. Obay Said Al-Dewachi is the University President of Mosul University in Iraq. Dr. Al-Dewachi holds a Master degree in Agricultural and Food marketing from the Newcastle upon Tyne University, England. Furthermore, he has a Ph.D. in Marketing from Clermont Fd. University, France. Dr. Al-Dewachi has been leading Mosul University during the past years during the occupation by Islamic State. Prof. Tilman Brück is the Founder and Director of International Security and Research Center (ISDC) in Berlin and Team Leader of Development Economics at Leibniz Institute of Vegetable and Ornamental Crops (IGZ), Germany. Brück is also the Co-Founder and Co-Director of the ‘Households in Conflict Network (HiCN)‘, a global research network studying the intersections of conflict and development at the micro-level. Enas El Bahri is a Libyan business woman, co-founder and CEO of Mozart Catering company, located in Libya. The company was established in 2010 with 3 employees and now employs over 300 workers and has opened 10 branches inside Libya. Enas’ goal is to provide a Libyan product with international standards that competes internationally and provides job opportunities for the Libyan youth. Rebin Khailany is the founder of KurdSolar; a branch of a Dutch-based company. The company was founded in 2017 to offer customers renewable energy solutions for their energy demands. Rebin’s mission is to stimulate the use of sustainable energy technologies in the Kurdistan Region of Iraq. Through this initiative, Rebin hopes to provide a solution to the major energy & utilities challenges in this area. Teeba Mohammed Naqash is as a translator and a member of the faculty of culture at the University of Mosul. She is passionate about connecting cultures and bridging gaps. She is involved in international discussions about education and peace in Iraq. The hard working patriot puts “all her passion and energy” into rebuilding her homeland. Neil is an economist specialising in economic development, political instability and conflict. In 2011, he joined the German Institute for Economic Research in Berlin, working first on the EUSECON programme and later, the WISIND programme. In January 2012, he moved to the Stockholm International Peace Research Institute (SIPRI), where his research included development and analysis of a jobs quality index for Kyrgyzstan. Alice Barbe is a social entrepreneur and director of SINGA France, which strengthens connections between refugees and host societies, promotes innovation of asylum through digital tools and participates in the creation of platforms, spaces and programmes to welcome refugees. Alice also works as a CSR consultant and develops expertise on social innovation and social business. David Wheeler is editor of Al-Fanar Media, a publication focused on education and youth in the Arab world. For 25 years prior, David worked as a science writer, international editor, and managing editor at the Chronicle of Higher Education. David has a master’s degree in journalism from Columbia University and was awarded a Vannevar Bush Fellowship at the Massachusetts Institute of Technology. Following several years in the political sphere in Iran within think-tanks and as adviser to the former Prime Minister, Hamze Ghalebi is now president of Singa France. Singa valorises diversity by empowering newcomers through entrepreneurship. Hamze is also developing an expertise in international business within emerging countries using his experience in leadership, negotiation, and intercultural management. Martin Spicer is currently Director, Blended Finance at the International Finance Corporation, where he is responsible for co-investments originating from $1.0 billion of blended finance facilities, including climate, agribusiness and SME themes. He also manages the IDA18 Private Sector Window, a $2.0 billion blended finance facility focused on the poorest, most fragile and violence-affected countries (FCS/IDA countries). Petra is the host of the IGNITE Conference. Petra is a former diplomat, senator for D66, entrepreneur and Arabist. She works as an independent advisor to ministries, governments, embassies and NGO’s. Furthermore, she regularly gives political comments to media on the Middle East, diplomacy and human rights. She has received several prestigous awards for her writing, including the Women in Media Award and the Aletta Emancipation Prize, 2016. Johan te Velde is the co-founder and senior consultant at Double Loop Advisors. He conducts capacity building, baseline studies and evaluations for a variety of government and non-governmental organisations on peacebuilding and service delivery in fragile countries. He was engaged in action research in a SPARK programme promoting employment in agricultural value chains in Burundi and South Sudan. As General Manager of the Libyan Programme for Reintegration and Development at SESRIC, Mustafa has overseen Libya’s ex-combatant reintegration programmes, which have served over 162,000 beneficiaries to date. Mustafa has twenty years experience of entrepreneurship in the IT sector and four years of experience in politics, public management, social services management and SME’s development. Mariel Mensink is Rural Finance Advisor to, among others, the MAVC programme in Burundi, which closely collaborates with the SPARK programmes in Burundi. Mariel has previously worked in rural and agri-business development, small enterprises and micro-finance, market linkages and supply chain development. She has experience in policy advice, organisational development and private sector policy development. Firas Deeb is one of SPARK’s Regional Programme Managers working on higher education and entrepreneurship in fragile states. He has more than 8 years experience in the MENA region (Syria, Yemen, Jordan and Lebanon) and another 7 years in the EU working with international institutions, such as the European Investment Bank (EIB) and European Commission. Annelies Withofs is Programme Manager for the IKEA Foundation’s ‘Reshaping Humanitarian Response’ portfolio. Annelies works closely with humanitarian partners, such as UNHCR, and international response agencies and innovative initiatives. Together, they develop programmes that stimulate the sector to innovate and catalyse self-reliance of refugees, and for displaced communities to become less vulnerable to climate change. Ambassador Gerard Steeghs is the NL Special Envoy for Syria. He joined the Ministry of Foreign Affairs in 1985, and has a broad experience as an ambassador and political advisor. He worked among others in Libya, Egypt, Iraq, Russia, New York and Washington, and at multilateral and regional departments in The Hague. He also worked as Deputy Director for the UN and International Financial Institutions. Nadia Nintunze is the Programme Manager of SPARK’s Agri-business Creation in Burundi focused on Value Chain Development. Nadia is the co-founder of Impact hub Bujumbura, an entrepreneur community and a co-working space in Bujumbura. Nadia is a NAFSA Global Dialogue Fellow and works with higher education institutions. Simone works within the SME Finance and Development Group at the European Bank for Reconstruction and Development (EBRD), where she specialises in product development and SME policy dialogue, and oversees the SME work under the Bank’s Refugee Response Programme in Turkey and Jordan. She has been with EBRD since 2009; as an Economic Analyst; supporting the Banking team in SME capacity building; and coordinating SME advisory services in Western Balkans and South-East Europe previously. Marc works at Oxfam Novib, as part of the Innovation Team, where he is setting-up an investor network for impact companies that are supported by Oxfam’s BDS programmes. In addition, he is Global Project Leader for the IKEA Foundation funded programme Empower Youth for Work, running in 4 countries. He previously lead the Entrepreneurship Development program for SPARK (MFSII) and worked as consultant at Enclude/Triodos Facet. Hans is Director Sustainable Economic Development and Ambassador Private Sector & Development Cooperation at the Ministry of Foreign Affairs of the Netherlands. Mr. Docter has a long history in Foreign Policy. He was the Dutch special envoy for Ebola and previously he was Ambassador of the Netherlands to Ghana and Deputy Ambassador of the Netherlands to Ethiopia and Kenya. He also has extensive work experience in Indonesia and Russia. Burundian born and raised, Ange is Founder and Executive Director of Kaz’O’zah, which she started in 2012. 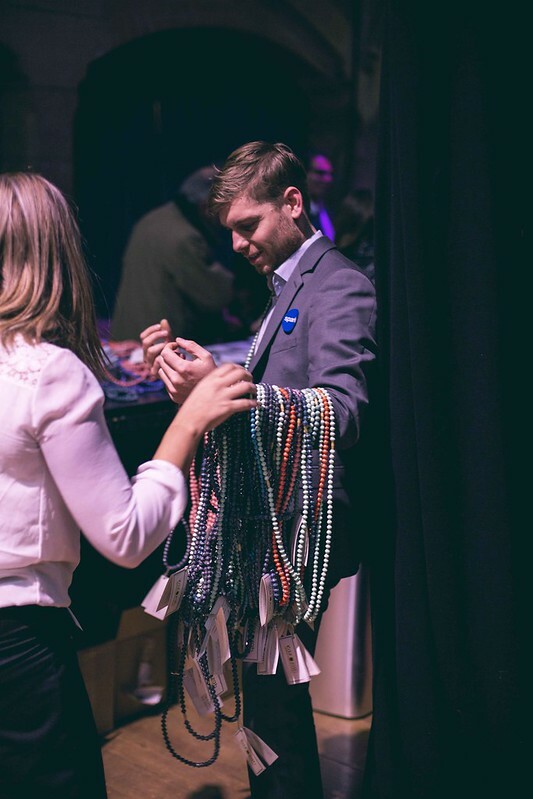 Kaz’O’zah is a non-profit social enterprise, that taps into the power of undeserved communities to achieve self-sufficiency through reimagining the marriage of fashion and social entrepreneurship. Her vision is to equip and reinforce capacities of young talented individuals who lack income and exposure, through her Art Innovation Incubator. Following several years as Management Consultant and in Value Chain development in East-Africa, Marthe Paauwe is currently the SPARK Regional Manager of the Agribusiness Creation Programme in Burundi, Yemen and South Sudan. A programme that aims to increase human and food security by promoting entrepreneurship and job creation, especially for youth and women. She is also SPARKs Country Manager of Rwanda. Anila Noor is a refugee-activist and researcher. As a fellow of the Open City Fellowship she has recently become member of European Migrant Advisory Board, an initiative of the Partnership on Inclusion of Migrants and Refugees the Urban Agenda for the EU and a policy advisor on integration for the City of Amsterdam. She is an Emancipation Ambassador of EP- Nuffic (Netherlands) and alumni of “World Class”, an initiative of the City of The Hague (Netherlands). Maren Kroeger manages the Tertiary Education Programme of the Division of International Protection based in Copenhagen, Denmark, and is in charge of the DAFI scholarship programme at the United Nations High Commissioner for Refugees (UNHCR). Previous positions with UNHCR include Associate Protection Officer (Community-Based) at headquarters and Field Officer (Protection) in the emergency response for the earthquake in Ecuador. Rania Bikhazi is currently the Enterprise Development Specialist at the ILO Regional Office for Arab States. Her work includes the promotion of and support for enterprise development through linkages and close collaboration with partners from the public and private sectors including employers’ and workers’ organisations. She initiates and supervises business environment and needs assessment exercises and provides advisory services to countries in the Middle East. Her work also includes the delivery of extensive trainings in the field of SME development. Pyt Douma is an independent researcher based in Amsterdam. He has worked as researcher, policy adviser, implementer and evaluator on behalf of various governments, universities and non-governmental organisations. In a period of twenty five years he was involved in numerous field missions in Sub Saharan Africa and worked in around twenty seven different African countries on socio-economic – and conflict and reconstruction studies in fragile – and post conflict societies. Raouf Mazou took up his appointment as Representative of the United Nations High Commissioner for Refugees (UNHCR) in Kenya on 21 September 2013. For the four years prior to this, he was a Deputy Director in the Africa Bureau, covering the East and Horn of Africa Region. Raouf Mazou has previously occupied various senior positions, and has served as Deputy Director of the Division of Operations Support and as Head of the Emergency and Security Service, a position in which he oversaw UNHCR’s global emergency management and staff security interests. Jan Schwier is a Partner in Bridgespan’s New York office. He serves organisations across the nonprofit sector, focusing on global strategy, organisational development and operating models. Prior to joining Bridgespan, Jan was based in Johannesburg and responsible for the Advisory Services portfolio of the International Finance Corporation (IFC) in Sub-Saharan Africa. During his tenure at the IFC, he also managed cross-institutional engagements for the IFC in regional initiatives such the Sahel, Great Lakes and Horn of Africa and had oversight of the regional Fragile States Program. Tariq Cheema is a renowned social innovator and philanthropist. He is the founder of the World Congress of Muslim Philanthropists, a global network of affluent individuals, corporations, foundations, governments and academia, dedicated to advancing effective and accountable giving. His trendsetting efforts towards institutionalising Muslim Philanthropy in recent times have earned worldwide acclaim. As Manager of Fragile and Conflict Affected Situations of Africa, Michel helps IFC growing its business in these challenging markets. Throughout his career at IFC, he has focused on developing tailored (and often innovative) advisory proposals to help IFC’s clients deepen their relationships with the local economy, improve their governance, and increase their compliance with IFC’s Business Standards. Melis Kılavuz is Senior Labour Mobility and Human Development Expert at IOM Turkey Office, the UN Migration Agency, in order to support Turkey’s efforts in developing a comprehensive and human rights based labour migration management system since Turkey hosts the world’s largest number of refugees and asylum-seekers with effect of Syrian emergency refugee crisis. Melis is also experienced in Gender Equality specifically women’s employment, decent work, gender pay gaps, gender based violence, gender specific budgeting etc. Dr. Yaseen Alkhalifah is the Rector of Aleppo University in the Freed Regions/SIG. With a long history of cooperation with UN agencies, since 1976, Dr. Alkhalifah has conducted several scientific demographic and economic studies and researches. Holding several Deanship positions, he contributed to academic surveys for social, demographic and economic purposes. Dr. Alkhalifah is keen to contribute to the reconstruction of HE institutions in Syria, especially Eastern region (Deir Ezzor, Raqa and Hasakeh). Fia van der Klugt is Senior Policy Officer Stabilisation and Humanitarian Aid Department at the Netherlands Ministry and Foreign Affairs. Originally working for the ministry as legal officer on employment and social security issues, she worked for the Health and AIDS Division from 2008-2011 and on anti-corruption issues for the Good Governance Division from 2011-2012. Since September 2012 her main focus area is on policy development for conflict and gender sensitive employment creation in fragile and conflict affected situations. Lennart Hofman is a war and conflict journalist. He travels to well-known and lesser-known hot spots in the world and write about their latest challenges. So far he has written stories in Syria, Iraq, Sudan, South Sudan, Mali, West Papua, Djibouti, Western Sahara, the Philippines, Ukraine and Myanmar for various foreign media. Arjen Berkvens is director of the Foundation Max van der Stoel (FMS), a political foundation based in The Netherlands. The FMS is a democracy support foundation with projects in the countries in the European Neighborhood. Arjen Berkvens was co-founder of the European Network of Political Foundations (ENoP.) He is an experienced manager of political campaigns and a professional trainer in political skills. Marian Lenshoek is Communications Officer for IOM, the UN Migration Agency, in the Netherlands. Originally a journalist she has been working for IOM for a decade, communicating IOM’s mission. Martijn Daalder is a highly experienced strategy facilitator. With his clients, he works on intractable problems across markets, industries and geographies. He is specialised in architecture and strategy of collaborative ventures. As moderator, he has a broad experience with wholesale food markets, restructuring of river systems, health care, education, and the challenges facing NGO’s in fragile environments. Richard van Hoolwerff is the Country Manager of SPARK Ivory Coast. He has studied Psychology, Cognitive Science and International Relations at the University of Amsterdam. With SPARK, he set up Liberia’s first ever business startup centre, supporting businesses from waste collection to palm oil production. In an effort to support entrepreneurship he has established Ignite Fund Liberia and GEN Liberia to create a startup ecosystem from scratch. He is also the founder of Emergi, a solar energy company to develop renewable energy solutions that create economic and social value. Farid A. Hadi is the owner and CEO of Sayed Consultancy. Over the last decade, he has provided entrepreneurship support to more than 750 SME’s and job assistance support to more than 250 job seekers, including diaspora, young Afghans and Afghan returnees. He’s worked on projects via the World Bank, USAID and a pilot programme for Afghan returnees in cooperation with SPARK, financed by the Dutch Ministry of Foreign Affairs. His ‘Cohesion’ concept aims to assist asylum status holders in the EU and returnees in their country of origin in starting a new life independently. Shaun Matsheza is the former editor of Radio Netherlands Worldwide (RNW) Africa Desk -Waza Africa- and is a senior trainer in Multimedia Content for Radio Netherlands Training Centre (RNTC), and for Responsibility to Report (R2R), Nigeria. Shaun’s expertise is in media training and capacity building. He has conducted trainings in many fragile states, mainly in Africa and Asia. Originally from Zimbabwe, he is currently based in the Netherlands. Kadar Fayyad is a Civic Leadership Expert and an activist with extensive experience working with women, youth, refugees and marginalized communities in Syria, Jordan and Lebanon. she, her self, is also a refugee – a Syrian national who went to Jordan to do her Master’s degree and realised that her country had fallen apart while she was away. Now she lives under asylum in Amman, where she continues her work. She spent years being an activist in the streets of Syria, using online platforms to create awareness around civic leadership in Syria. Lev Plaves is Kiva’s Senior Portfolio Manager for the Middle East, managing relationships with local partner organizations throughout the region. Kiva, is considered the leading micro-finance crowdfunding platform in the world. They have provided over $60 million in funding to entrepreneurs in the Middle East over the last 10 years. Lev is specifically focused on Kiva’s work with refugees and displaced populations, including spearheading the launch of the World Refugee Fund this year. Mohammed Skaik is a Senior Entrepreneurship Expert at SPARK. He works on business development in the Middle East fragile states. He is focused on providing employment opportunities, particularly for bulges of Syrian refugees in neighboring host countries. Given his former role as the leader of Business & Tech Incubator (BTI) in Gaza, Mohammed is considered a key regional figure in the Middle East to empower youth through employment and entrepreneurship. He is actively engaged in the private sector development and entrepreneurship support in the MENA region, in particular countries that SPARK is active in. David is co-founder and Director General of ABAN, the African Business Angel Network, a non profit association founded early 2015 to catalyse early stage investing in Africa. He is also Managing Director of Stichting IGNITE, a non-profit supporting entrepreneurs in conflict affected countries and he is part of the Investment Committee of the IGNITE Fund. He is a member of the Impact Investment Committee of the European Business Angels Network (EBAN). In addition he manages the mentorship program of VC4Africa. We believe that it is crucial to see and feel the opportunities that lie ahead of us. But we see that lots of people are fearful and hesitate about their futures. Therefore, it is our mission at Ink Strategy to playfully guide people to a bright future. Through visualisations, design thinking and change management tools we open your mind and inspire you to create your individual way to a bright future. Mansour Feten is the Head of Trust and Special Funds in the Islamic Development Bank (IsDB), Jeddah, Kingdom of Saudi Arabia. He has over 33 years of experience in education, capacity building, institutional empowerment and strategic planning. He benefits from excellent communication skills and recognised networking abilities which have brought him closer to his clients over the years and have made him successful in providing motivation and training to the Advisor’s team at IsDC ensuring optimum performance. Sultan Barakat is the Founding Director of the Center for Conflict and Humanitarian Studies and a professor in politics and post-war recovery studies at the University of York. Previously he served as Director of research at the Brookings Doha Centre. At the University of York he founded and led the Post-war Reconstruction and Development Unit​ between 1993 and 2014. He has over 25 years of professional experience working on issues of conflict management, humanitarian response, and post-conflict recovery and transition. He is regularly engaged in providing guidance as a Senior Adviser and Consultant to the United Nations, the World Bank, European Union, DFID, ILO, IFRC and a variety of government and international Non-Governmental Organisations including CARE and Oxfam. Abdul-Karim Qtifan is a British Palestinian entrepreneur born and raised in Gaza. He moved to London 11 years ago where he organically established different self-funded entrepreneurial private companies in the fields of food production, nutrition, alternative therapies and well-being. He is currently the director of Go Nutritious Ltd, a London-based company that promotes healthy food, lifestyle and nutrition. One of his projects involved importation of Palestinian goods to help open up external markets to support the Palestinian farmers. His passion stemmed from his desire to be independent and to contribute meaningfully for the benefit of all parties involved. This workshop will address the NGO perspective on how to provide long-term employment support during conflict. The workshop will focus on the cases of Yemen, Burundi and South Sudan. Analysis has shown that for many countries currently enduring conflict, agriculture is often a key driver for economic development. With an aim to bringing stability to troubled regions, agricultural development is currently carried out by a few NGOs in the focus countries. Representatives from these NGOs will give their perspective and share lessons learned. How can hosting communities in Europe better welcome refugees so that access to society, social networks, professional networks, language acquisition and ultimately employment/entrepreneurship opportunities become easier to grasp? This workshop explores the NGO, public and private sector initiatives working towards this goal. Last year, in the first edition of the workshop, we explored the challenges facing Iraqi universities in conflict. This year, in the 2nd edition, we’ll dive deep into post-IS universities, Raqqa and Mosul, and see what can be done and offered to students who have now returned to their classes. How to customise curriculums to empower students to rebuild their country? How to encourage their enthusiasm and build their confidence? Think along with students, experts and representatives from local and international universities to find solutions. Investors, donors, governments, nor the public at large is keen on hearing what’s going on in fragile states. What makes the ‘fragile state’ story so difficult to tell and so hard to sell? Storytellers, media experts and journalists get together and produce the ultimate fragile state pitch and share their ideas how to go about it. How to tell this story? How to work together with journalists? How to get to the right information, and how to use the right media channels to achieve your goals. By bringing together entrepreneurs and small business owners from the world’s most fragile states, such as Libya, Burundi, Somalia, Yemen and Syria, stakeholders have the opportunity to discuss the reality of entrepreneurship in fragile contexts. For example, obstacles such as corruption, slow government and lack of competition or capital have a major influence on the future of businesses. Hear real-world accounts of how entrepreneurship, job creation and development of local economies can contribute to conflict-prevention, stemming refugee flows and counter radicalisation efforts. Refugee driven enterprises can only succeed if they are integrated into the host economy. How to make this possible? So far, most entrepreneurial initiatives are rather human interaction than being focused on sustainable integration, but the longer refugees stay in a host community the more urgent it becomes for them to be provided for their own livelihood through employment and entrepreneurship. In this workshop we talk about challenges, barriers, and solutions. What are the business barriers of RDEs? What is the role of host countries and private sector towards serving the RDEs? How to create a supportive entrepreneurship ecosystem for RDEs? How to facilitate access to finance for RDEs? How can entrepreneurship in fragile states prepare for the 4th industrial revolution? Higher skilled businesses within fragile states, working in information, tech and software innovation will define the development of their countries from here onwards. How can these industries be better supported to lead their countries intro prosperity? Given that the majority of businesses fail now, what support networks do entrepreneurs in fragile states need for the future? Abdigani Diriye, an advanced tech entrepreneur, experienced participant and founder of business accelerators, and an IBM researcher in developed tech in Africa, is addressing big, future challenges for sustainable societal impact in fragile states in this masterclass. During war and in post-Arab Spring countries such as Libya, and post-conflict regions such as the Kurdistan Region of Iraq, entrepreneurship has risen out of necessity, as a tool for survival. How to support entrepreneurship in ongoing and post-conflict circumstances? How to face the challenges of building an eco-system where it has been badly damaged? Hear the stories of entrepreneurs and experts who are rebuilding futures through entrepreneurship development. Across the world, 65 million people have been forcibly displaced. So, there’s a strong need for support to end this global refugee crisis. In this session we look what the private sector can do: how businesses and their partners can join forces, how they can leverage their knowledge and expertise to provide solutions for refugees and their hosting communities. And how we can anticipate on a possible return to their home countries and reconstruction of their communities. Thousands of Syrian refugees are looking for a way to study in the region. How can we better provide them with scholarships and meet their wishes? Equally important: how to scale up scholarship programme for Syrian refugees, as we are only reaching a small amount of the refugees out there? And how do we link entrepreneurship and civic leadership to these scholarship programmes to prepare students for next steps once they have finished their degree? Doing business in fragile states requires a specific approach. Entrepreneurs need to have skills which enable them to be successful in conflict affected environments. How to mitigate the risks involved? How to do your market research? How (not) to deal with politics? This training shows in a nutshell what the conflict-sensitive business practice is all about. Fancy taking on a real challenge? The International Organization for Migration’s second annual Global Migration Film Festival is coming to IGNITE to showcase the film ‘Misafir “A Guest”‘ about the stories of three teenage refugees from war torn countries (Palestine, Syria, Afghanistan) who fled to Istanbul in search for better lives. The movie highlights their background story, how they adapted to life in a multicultural city, their contributions, and how Istanbul embraced them as “guests” rather than “refugees”. Participants will then engage in discussion and Q&A with some inspiring guests after the film screening. How can education and/or employment assist conflict affected states to reach prosperity and peace? During our debate the contribution of education and employment will be reflected upon by a policy maker, a practitioner, an implementer and a researcher. Should we spend our limited time and resources on giving refugees and vulnerable host communities access to education, help them to become entrepreneurs or do both? Find out what the International Security and Development Center (ISDC) has to say on this when they present their latest research on the effects of employment on stability in fragile states or how UNHCR believes the access to Higher Education they provide to refugees is life changing. While the panelists set the scene, we also really want to know what YOU think about this. Let us know by attending this workshop or digitally through Twitter. Together we can contribute to improving the lives of young people. German entrepreneur and former UNHCR director of the Za’atari refugee camp in Jordan tells his story: about his experiences in Za’atari, the role of entrepreneurship in refugee camps and his unorthodox views on the refugee crisis. Download the IGNITE 2017 ‘Rebuilding Futures’ report.